Slidify works in R, so you need to download that if you haven't yet. This will generate a index.html file. Eleanor scores 680 on the Mathematics part of the SAT. The distribution of SAT scores in a reference population is Normal, with mean 500 and standard deviation 100. 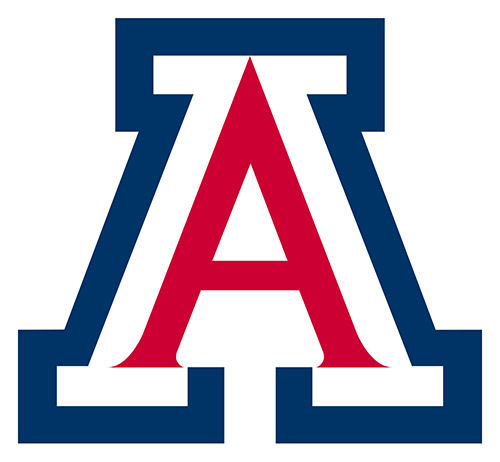 Gerald takes the American College Testing (ACT) Mathematics test and scores 27. ACT scores are Normally distributed with mean 18 and standard deviation 6. Assuming that both tests measure the same kind of ability, who did better? The best way to compare their performance is to calculate their standardized scores. Since, Eleanor has a higher standardized score, we can conclude that Eleanor did better! 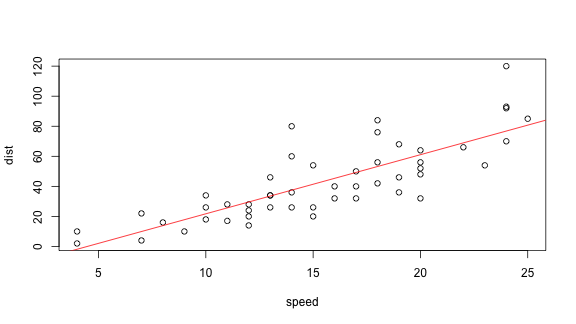 Which of these two scatterplots have a higher correlation? Both have the same correlation. Think about the probabilities of each event, and that of both of them together. If you chose (2), stop back and think. Suppose we denote the event of Linda being a teller by A and the event she is active in the feminist movement by B, then probabilities in question can be written as. This is called the conjugacy fallacy that occurs when it is assumed that specific conditions are more probable than a single general one. What percent of pregnancies last fewer than 240 days? What percent of pregnancies last between 240 and 270 days? How long do the longest 25% pregnancies last? The solid curve represents the distribution of heights of all males in the US. The dotted curve represents the distribution of heights reported by males on OkCupid, an online dating website. 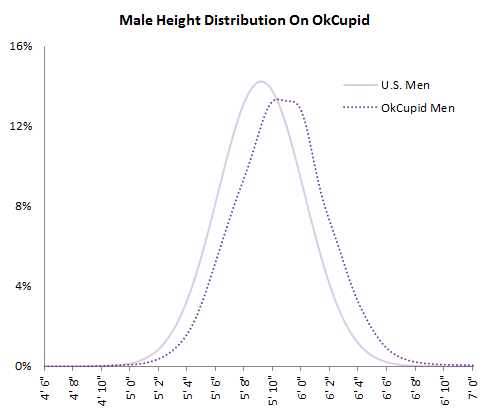 It is easier to interpret things if we overlay a fitted normal distribution for the heights reported by males on OkCupid. Looking at the graph carefully, we can observe two things. 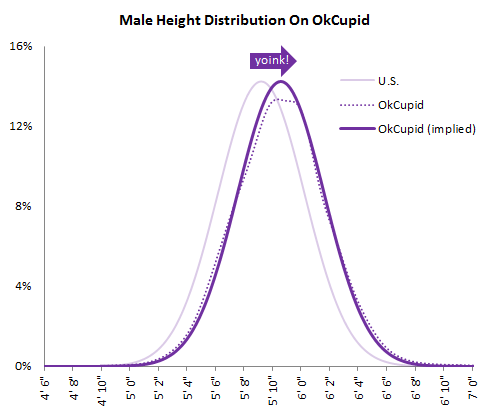 Males on OkCupid probably tend to inflate their heights! You can also see a more subtle vanity at work: starting at roughly 5' 8", the top of the dotted curve tilts even further rightward. This means that guys as they get closer to six feet round up a bit more than usual, stretching for that coveted psychological benchmark.